Thanks in large part to Phil Goldstein, long-time friend and defender of the underdog, John Chevedden, James McRitchie (me), and Myra K. Young (my wife) we were able to get a third lawsuit dismissed. 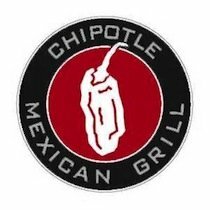 Like EMC and Omnicom (OMC) before, Chipotle (CMG) had sued in court, rather than seek a no-action letter from the SEC, alleging our proposal failed to comply with SEC Rule 14a-8 requirements for submitting a proposal. Two weeks after SEC lawyers granted six corporations approval to exclude “proxy access” proposals from their proxy materials, United States Proxy Exchange (USPX) members are already submitting an updated version of that same proposal to other corporations. Updated language addresses the flimsy pretexts for the lawyers’ decision, as well as implementing improvements to the proposal language that shareowners have recommended. The original proposals were based on a USPX model proxy access proposal released on November 10, 2011. Today, the USPX announced an update to that model proposal, which shareowners can submit to corporations. Shareowner Kenneth Steiner received an advance copy of the update, and he has already submitted proposals based on the new language to Medtronics (MDT) and Forest Labs (FRX). Read more on the USPX website. Blank Rome LLP and Laurel Hill Advisory Group, LLC are hosting a complimentary webinar on Tuesday, October 18, 2011, at 12:00 pm EST to discuss how to prepare for the “private ordering” of proxy access under the amended provisions of Rule 14a-8. Full details can be found at the attached link. Numerous issues and questions relating to the new Rule 14a-8 shareholder proposal rules that now permit shareholders to submit proxy access proposals and how they will affect the 2012 proxy season will be discussed. By registering it will ensure that you get notified when we post the replay and the related presentation materials. myCorporateResource.com is a new database of law firm alerts, as well as providing many other resources. A great site worth exploring, which I have added to our blogroll. I encourage readers to go to the original documents linked below, since there you will get the clips in full context. My intent here is to simply provide a sampling of current advice to corporate management. Will the SEC Enforce Rule 14a-8? The SEC has a reputation of enforcing regulations against two-bit players in the financial arena while tiptoeing around the big boys. Back in December, Apache Corp. (APA) announced plans to flaunt US securities laws. The Commission’s response has been three months of unbroken silence. Apache’s CEO, Stephen Farris, is somewhat of a crusader against Rule 14a-8. In a 2007 comment letter to the SEC, he argued that precatory proposals should be banned. Readers of this blog will remember how he had Apache Corp. sue shareowner John Chevedden last year to block one of his shareowner proposals (see Pyrrhic Victory? 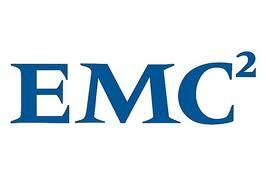 Apache Delays Shareowner Proposal, Loses Attempt to Require Broker Letters From DTC March 10, 2010). That lawsuit allowed Apache to exclude Mr. Chevedden’s proposal from their proxy materials for 2010, but it gave the corporation no basis for excluding future proposals. It was a very narrow decision. Not surprisingly, for 2011, Mr. Chevedden has submitted a new proposal to Apache, and he has strengthened his evidence of eligibility to address any concerns raised by the court in last year’s lawsuit. This time around, Apache should include Mr. Chevedden’s proposal with their proxy materials. Instead, they are acting as if last year’s narrow decision was a license to exclude proposals from Mr. Chevedden on an ongoing basis. This year, they have skipped the no-action process. They have skipped the courts. In a December 29 letter to the SEC, Apache merely informed the Commission they would be excluding Mr. Chevedden’s proposal for 2011. To understand the merits of Apache’s latest action—or the lack thereof—let me provide some background. I won’t go into the convoluted argument Apache’s lawyers made in last year’s Apache vs. Chevedden lawsuit. It was the same argument Hain Celestial had made in a no-action request to the SEC in 2008 concerning another of Mr. Chevedden’s proposals. SEC staff had denied that request. A Houston firm bringing a case before a Houston judge with representation from a prominent Houston law firm, Apache hoped to have more success with the argument than had Hain Celestial. Chevedden couldn’t afford a lawyer and defended himself remotely from California. The record suggests that Atlantic Financial Services of Maine, Inc., a subsidiary of RTS … may be the relevant broker rather than RTS. Atlantic Financial Services did not submit a letter confirming Chevedden’s stock ownership. RTS did not even mention Atlantic Financial Services in any of its letters to Apache. The ruling is narrow. This court does not rule on what Chevedden had to submit to comply with Rule 14a-8(b)(2). The only ruling is that what Chevedden did submit within the deadline set under that rule did not meet its requirements. After the judge’s ruling, Mr. Chevedden followed-up with RTS. They confirmed that they did in fact directly hold Mr. Chevedden’s shares. Their 2010 letter made no mention of AFS because AFS played no role in the custody of Mr. Chevedden’s shares. For purposes of Rule 14a-8, RTS was the record holder of Mr. Chevedden’s securities. The judge ruled “narrowly” against him because she thought, perhaps, AFS might be the real record holder. Apache’s “success” has prompted other companies to submit frivolous no-action requests targeting Mr. Chevedden’s proposals, claiming they may do so based on the Apache vs. Chevedden decision. In all cases where Commission staff have so far made decisions, they have rejected these requests (see Retail Proponents Survive Eligibility Challenges March 9, 2011). Now KBR has hired the same lawyer that represented Apache in Apache vs. Chevedden to file a similar lawsuit before the same judge. They are no doubt hoping for a similarly flawed ruling. This has become a farce. Apache was able to ignore Mr. Chevedden’s 2010 proposal, but as I have mentioned, he has submitted another one for 2011. This time, he provided a verification letter from RTS that makes it absolutely clear that they are the owner of record for his shares. There should be no issue here. He has addressed the court’s contrived concern, so the proposal should be included in Apache’s 2011 proxy material. Instead, Apache is simply ignoring this latest proposal, and they have informed the SEC of their intention. They are flaunting Rule 14a-8. What is the SEC going to do? It has been three months now, and all we have heard from them is silence. On March 2, Apache filed preliminary proxy materials with the SEC that did not include Mr. Cheveden’s latest proposal. In a week or two, they should file their final proxy materials. Apache is forcing this issue, and they clearly expect the SEC to back down. If that happens, expect copycat firms to next year also bypass the courts and the no-action process and similarly ignore Mr. Chevedden’s proposals. Rule 14a-8 is being trampled, placing every shareowner’s ability to submit proposals at risk. Yesterday, the United States Proxy Exchange wrote a letter to the SEC. It walks through Apache’s latest frivolous excuses for excluding Mr. Chevedden’s proposal this year, discrediting them one by one. 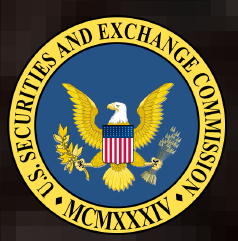 On behalf of the shareowner community, it asks the SEC to enforce Rule 14a-8. For a second year, the United States Proxy Exchange (USPX) is offering shareowners one-on-one training in the intricacies of filing shareowner proposals. The instructor will be a prominent shareowner activist who has successfully filed hundreds of shareowner proposals. The training is free for USPX members, and instruction is provided entirely by phone and e-mail. 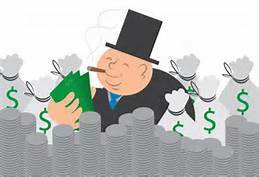 To file one or more proposals, you will need to have held at least $2000 in a corporation’s stock for at least a year. We will walk you step-by-step through the process, assist you in responding to challenges and make sure your proposals are presented and voted on at the annual meetings. This is a wonderful way to step up your involvement as a shareowner. To get started, e-mail the USPX.